Do you or a loved one experience ringing in your ears? Do you find it difficult to concentrate or communicate with those around you? 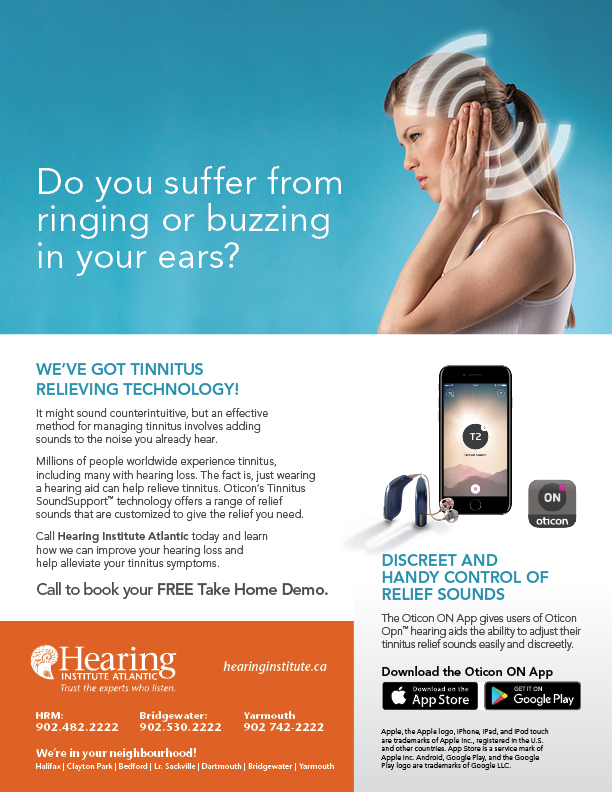 Hearing Institute Atlantic has the technology to help you take control of your Tinnitus with Tinnitus Relieving Technology. Talk to our Audiologists and learn more about how we can help with Tinnitus and book a FREE Take Home Demo to try it for yourself.